The picture above are the tools that I used to make the flowers. I saw a picture of flowers like these on http://www.cakecentral.com There were not any instructions listed. I had taken all of the Wilton cake decorating classes so I had a general idea of how to make flowers. I made these flowers to put on the top of cupcakes for a bridal shower. The bride was using daisies as her flowers for the wedding. Grease the mat with shortening. 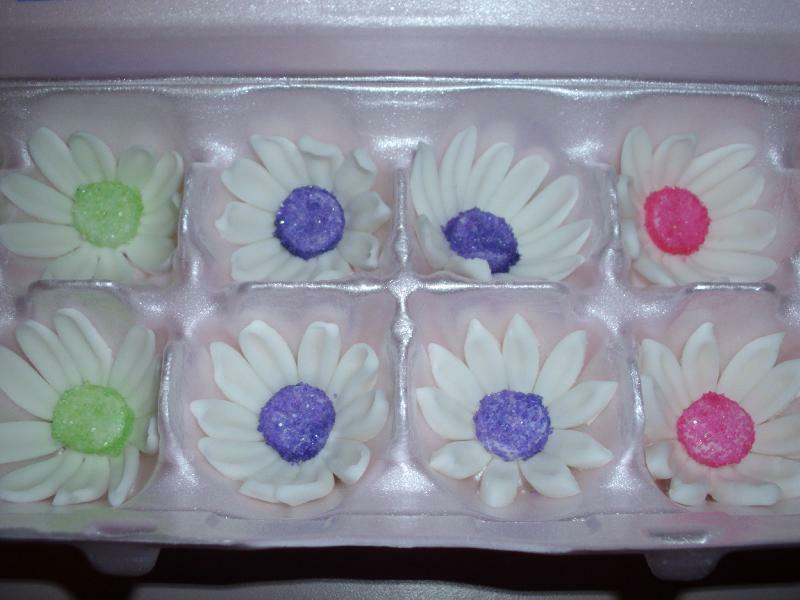 Depending on how many flowers you plan to make will depend on the amount of fondant to use. Take out a section of fondant and work in your hands to make it warm and soft. When it is softened form the fondant into a smooth round ball. Using a rolling pin, roll out the fondant into a circle. 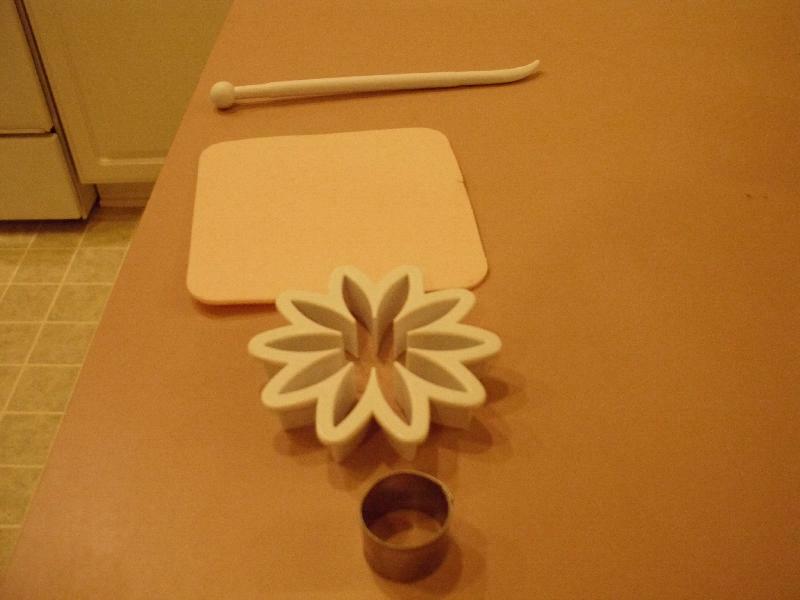 Use the cookie cutter to cut the flower shapes and also the circle shapes. Then place the different colored sprinkles in different bowls. Dip the top and the sides of the circle in the sprinkles. Make sure the bottom side of the circle is wet and free of sprinkles. Place the circle in the center of each daisy. Let dry at least over night. The flowers were not completely hard when I placed them on the cupcakes the next day, but they still kept their shape and looked great. It was much cheaper to use only fondant to make these flowers instead of using gum paste.